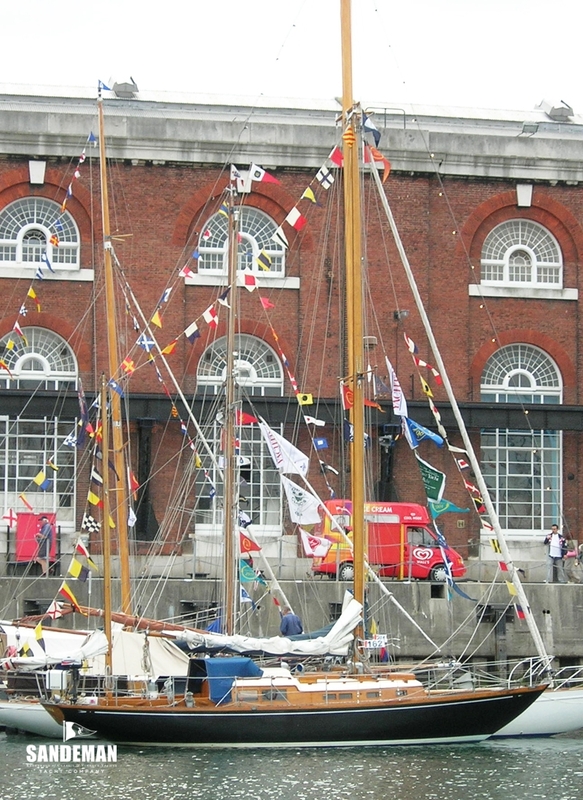 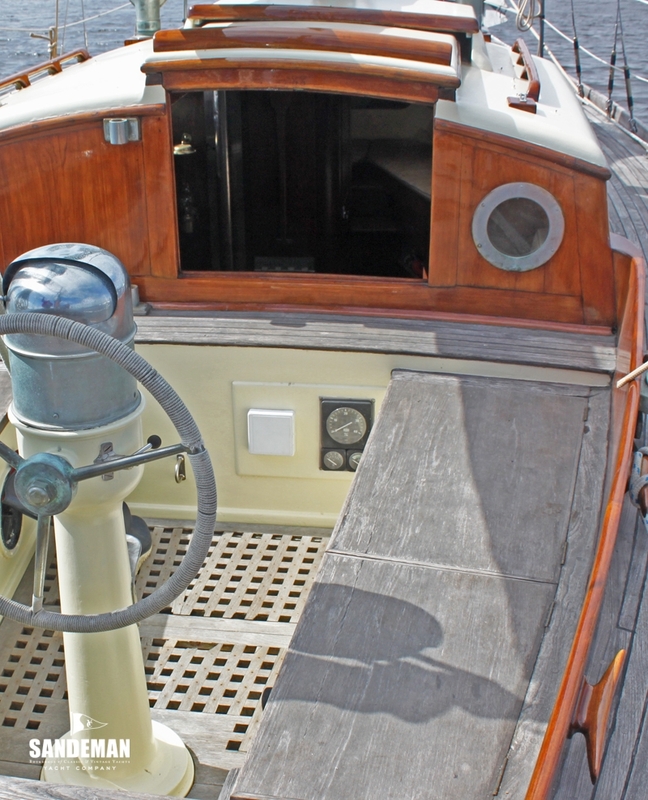 Arthur Robb designs are notable for their balanced hull forms; full forward graduating to lean aft. 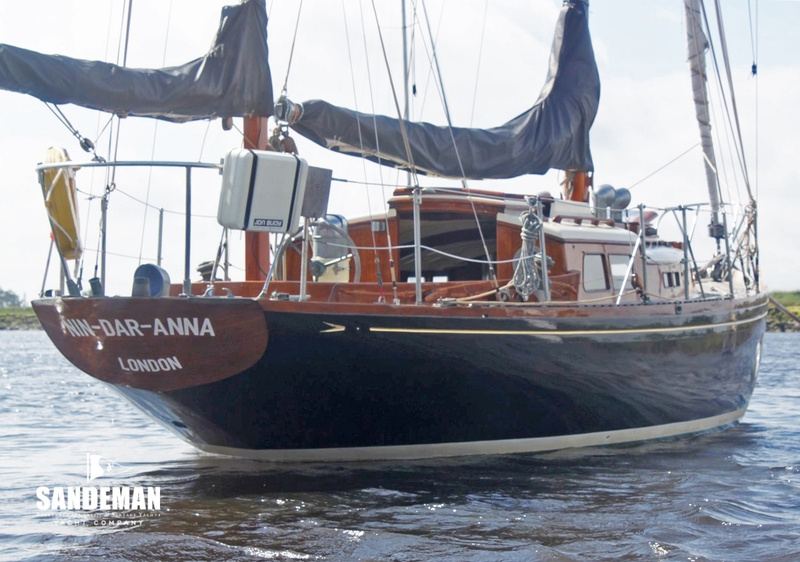 Many of his designs were built by the Cheoy Lee shipyard and NIN-DAR-ANNA fits the mould to a T. She was strongly built of first class materials, teak hull and decks for durability and with Sitka Spruce spars. 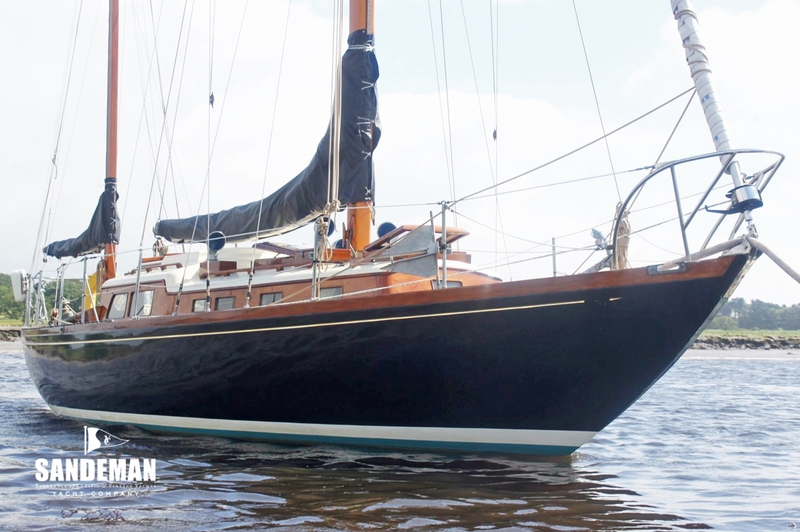 With her fittings intact she remains original and strongly true to those origins more than half a century on. 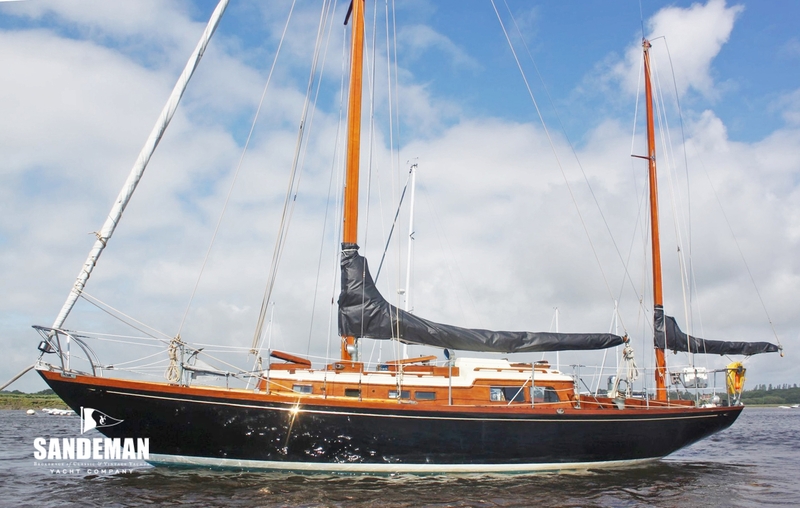 In a total of four ownerships - and only one since 1984, she has been well looked after and, in return has given enormous pleasure. 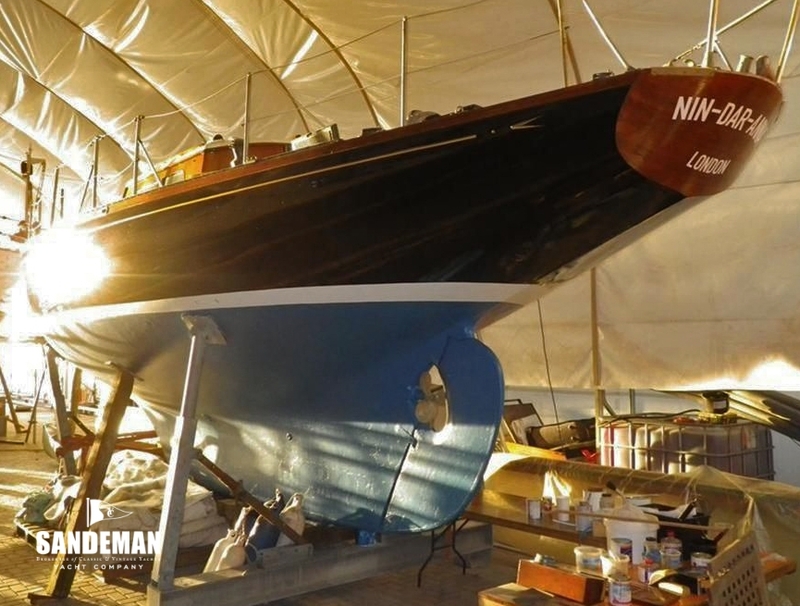 She is now ready for a new custodian. 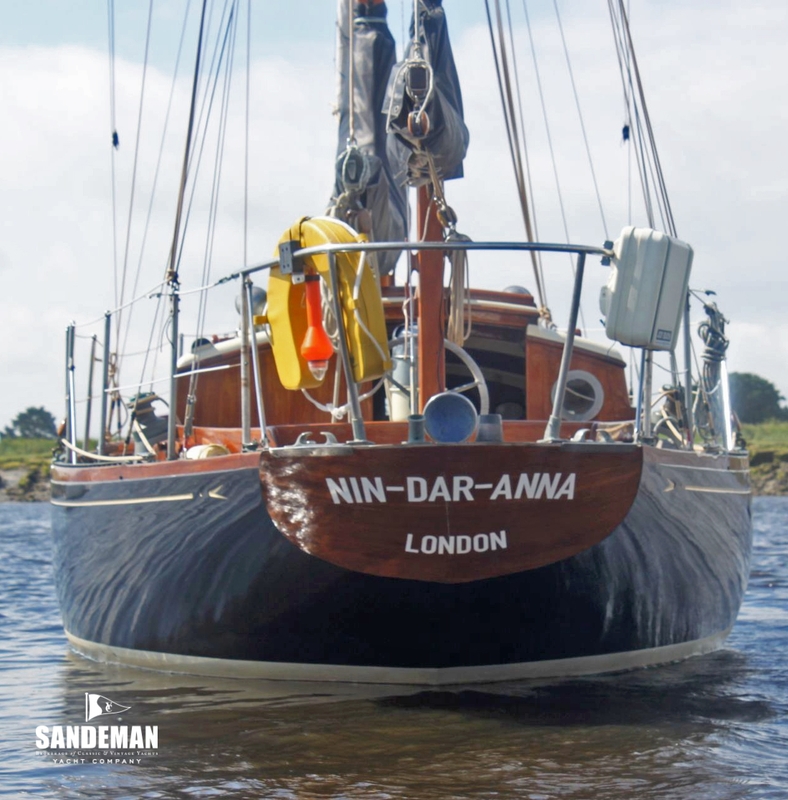 NIN-DAR-ANNA is that rare classic entity; little changed since first launched which adds the spice of true authenticity to the pleasure of sailing her. 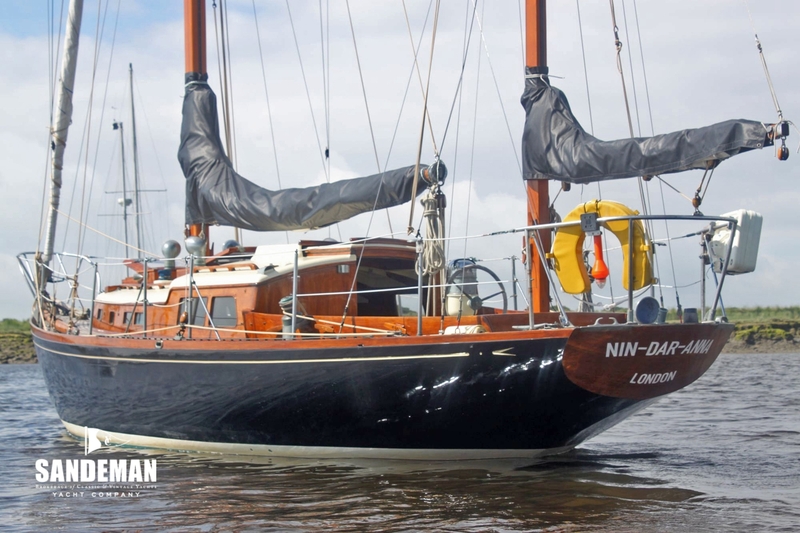 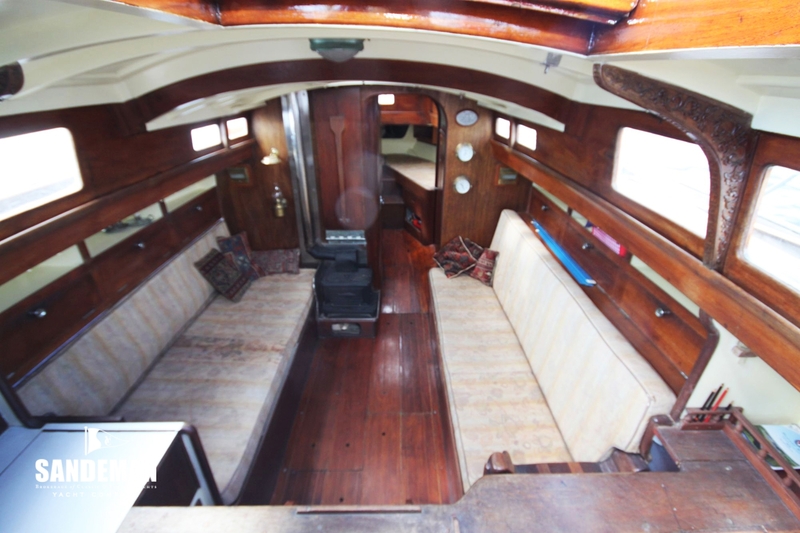 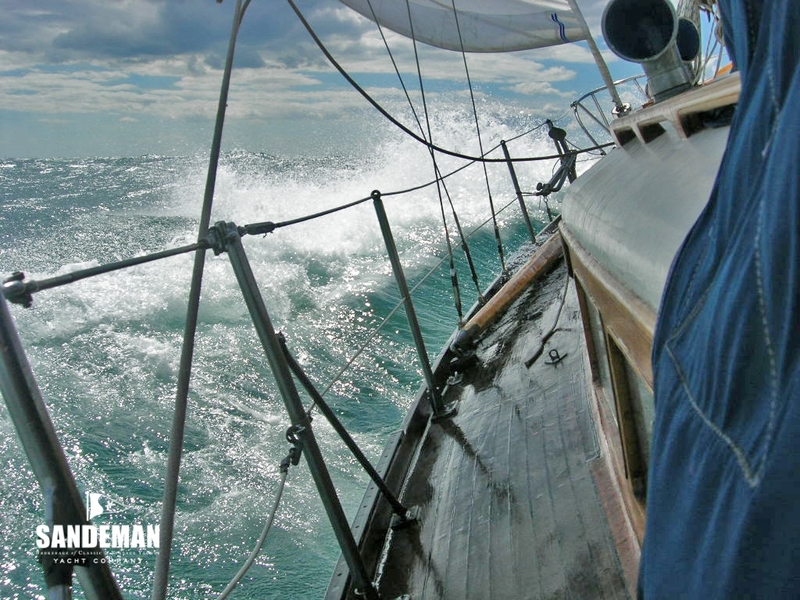 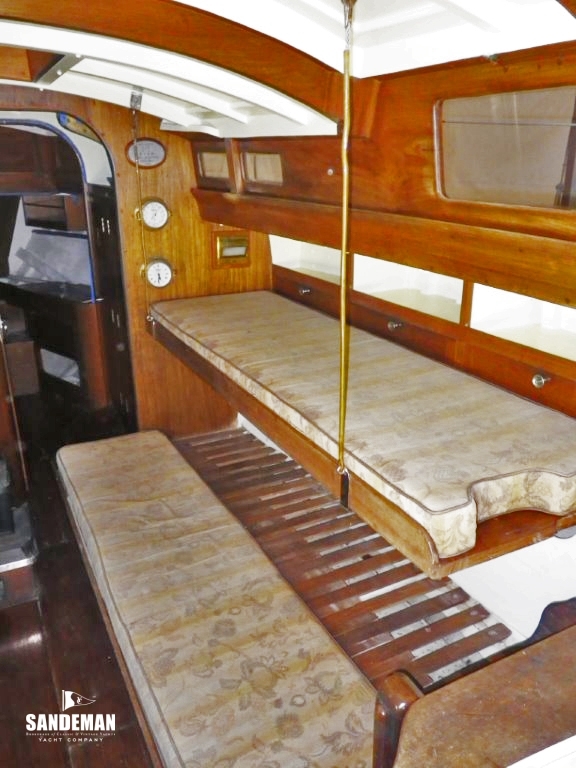 Her original and well cared for condition complement her sailing capabilities. 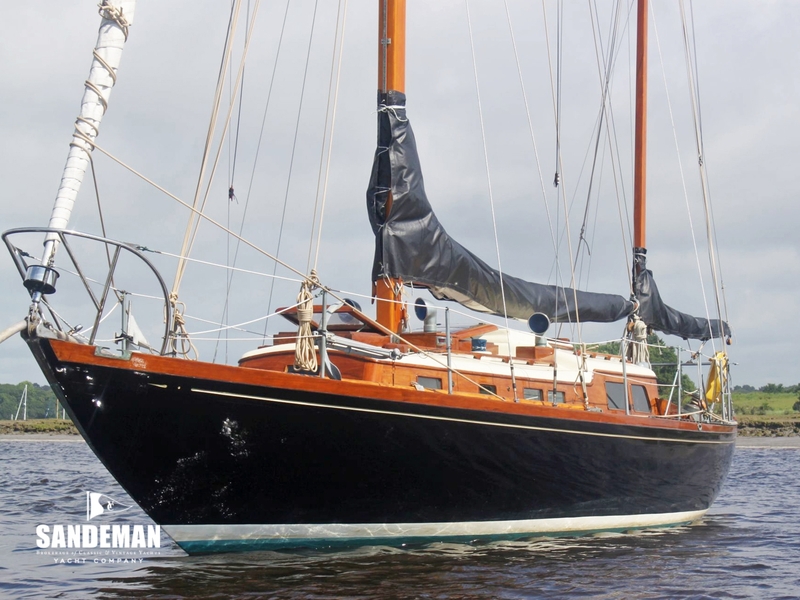 An unexpected Force 11 in the North Sea during a return from a classic boat festival in Norway revealed the quality of her design and build in that that she could take it in her stride, which generated great confidence in her owner and crew. 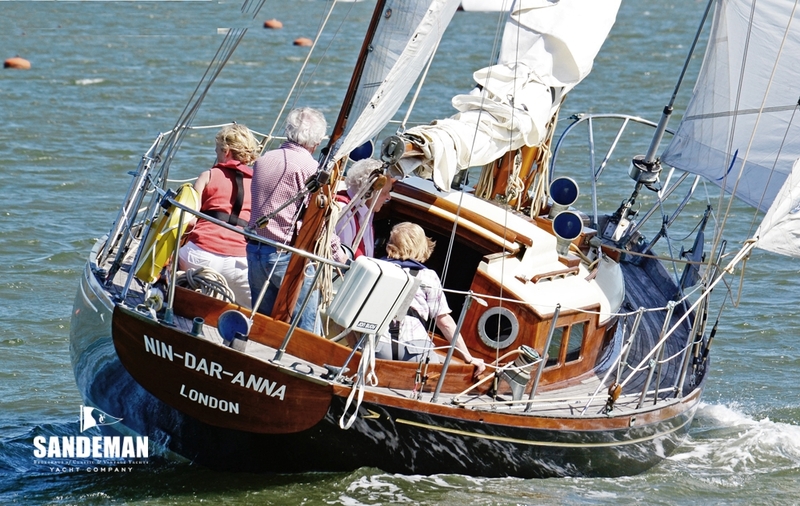 In light airs her drifter and mizzen staysail are great fun. 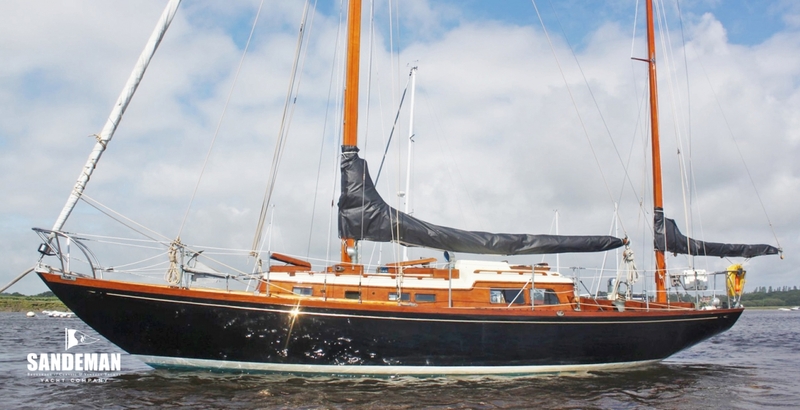 As a yawl she is easy to handle for two - even solo, irrespective of wind force. 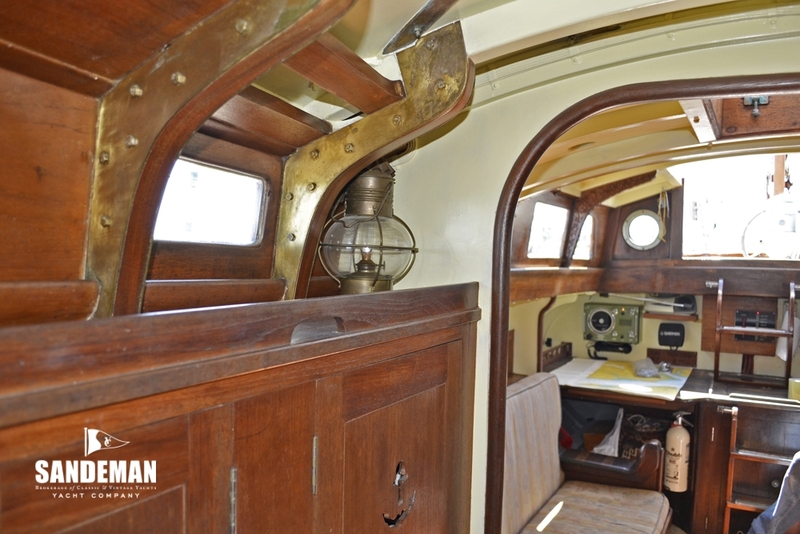 Long keeled and traditional hull shape, she has surprised many with the spaciousness she shows below decks. 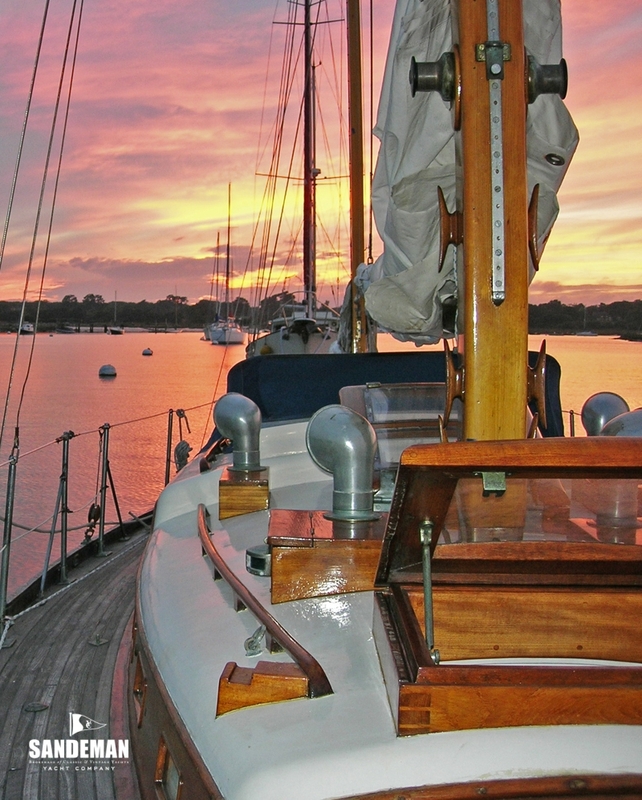 Robb knew his stuff.